On submission of your application form and payment of the non-refundable enrolment fee all other relevant forms will be handed up or emailed to you. Contact the office regarding the fee structure for 2019. 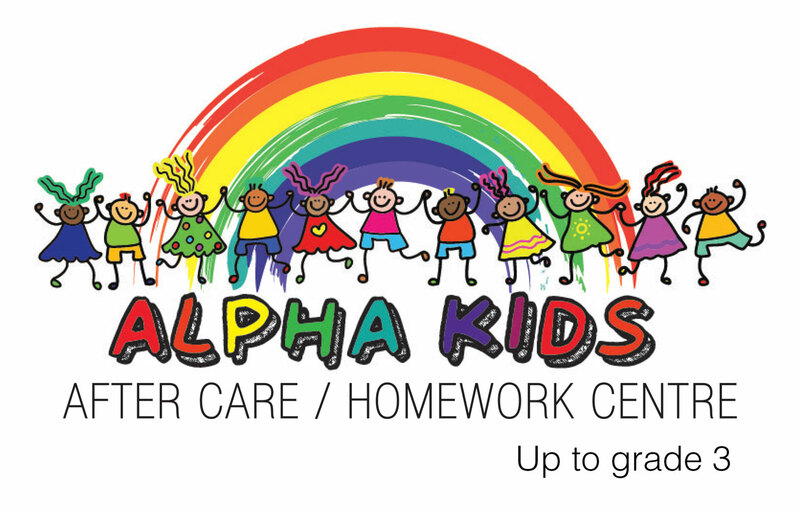 Alpha Step Pre-Primary/Educare is an independent private centre. It is not a feeder school to any school. 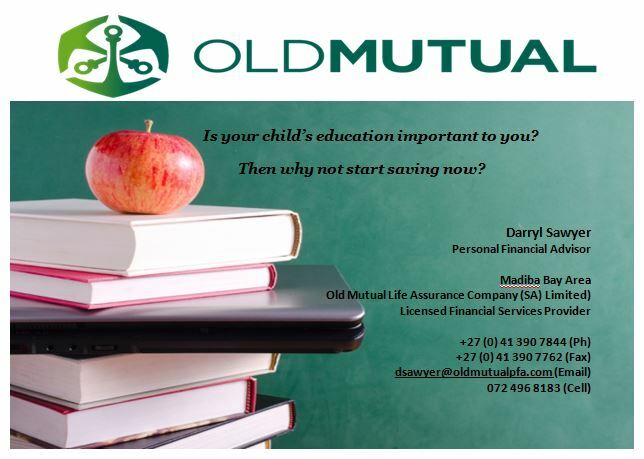 We provide after care for children who attend schools in the area. All children up to Grade 3 are welcome to attend on a casual or full time basis. We provide lunch, supervised homework followed by fun activities until collected. Parents need to arrange transport from the respective school to the centre. Motor skills are movements and actions of the muscles. Typically, they are categorised into two groups: Gross motor skills and fine motor skills. Gross motor skills are involved in movement and co-ordination of the arms, legs, and other large body parts and movements. They participate in actions such as running, crawling and swimming. Fine motor skills are involved in smaller movements that occur in the wrists, hands, fingers, and the feet and toes. They participate in smaller actions such as picking up objects between the thumb and finger, writing carefully, and even blinking. These two motor skills work together to provide co-ordination. Many parents think that having good gross motor skills can enable a child to excel at sports. This is only part of the benefit! Developing your child’s gross motor skills can do so much more than that – they can influence a child’s ability to write well and even to concentrate in the classroom. Efficient control of the larger muscle groups in the neck, shoulder and trunk is necessary to maintain stability in order for the fingers and hands to move to complete the handwriting task. As children develop, control and stability begins at the trunk, progressing to the elbow, wrist and finally the hand. With normal development, fine motor skills are developed from gross motor skills. For example, a baby will first learn to swat, then reach, then grasp and then manipulate a toy. Children need to develop the proximal muscles (closer to the centre of the body) of the trunk and shoulder girdle in order to use the distal muscles (further from the centre of the body) in the fingers and hands. These proximal muscles develop in children with gross motor movements such as reaching, tummy time, rolling, all fours position, crawling, standing and walking. Taking part in gross motor activities can also help your child develop the physical endurance needed to sit at a desk for extended periods of time, aiding his concentration. Gross motor skills develop through practice and repetition, and therefore children need to be exposed to diverse opportunities to move freely and experiment with different resources to help their skills develop. In her book Learning Disabilities, the late professor Janet Lerner explains that gross motor activities involve the total musculature of the body and the ability to move various parts of the body on command, controlling body movements in relationship to various outer and inner elements, such as gravity, laterality, and body midlines. Forwards walk. Have the child walk to a target goal on a straight or curved path marked on the floor. The path may be wide or narrow, but the narrower the path, the more difficult it is to do the tasks. A single line requiring tandem walking (heel-to-toe) is more difficult than a wide path. A slow pace is more difficult than a running pace. Walking without shoes and socks is more difficult than with shoes. Backwards walk. Have the child walk through the same course backwards. Have the child walk the above with arms in different positions, carrying objects, dropping objects, dropping objects such as balls into containers along the way, or focusing eyes on various parts of the room. Animal walk. Have the child imitate the walk of various animals: elephant walk (bend forward at the waist, allowing arms to hang down, taking big steps while swaying from side to side); rabbit hop (placing hands on the floor, do deep knee bends and move feet together between hands); crab walk (move sideways to the left and right, on hands and feet, face up); duck walk (walk with hands on knees while doing a deep knee bend); and inchworm walk (with hands and feet on the floor, take small steps first with feet, then with hands). Stepping stones. Put objects on the floor as stepping stones, identifying placement of left foot and right foot by colours. The child is to follow the course by placing the correct foot on each stepping stone. Hoop walk. Place hoops on the ground. Have the child walk between the hoops forward and backward and then hop through the hoops. Box game. The child has two boxes (the size of a shoe box), one behind and one in front. The child steps into the front box with both feet, moves the rear box to the front, and then steps into that. The child can use different hands to move the boxes and use alternating feet. The balance beam can be a flat board, either purchased or homemade. It can be of various widths; the narrower the width, the more difficult it is to do the activities. Each end of the board is fitted into a bracket that serves as a brace and prevents the board from tipping over. Walking forwards. Have the child walk forward slowly along the board with the normal stride of a tandem walk (heel-to-heel). The task is more difficult with bare feet than with shoes on. Walking backwards. Have the child walk backward along the board while keeping balance. Sideways walking. Ask the child to walk along the board sideways starting with the left foot, then the right. One foot could slide towards the other, or lift and cross over the other. More complex variations can be devised by adding activities such as turning, picking up objects on the board, kneeling, dropping objects such as balls or bean-bags into containers while going across, following oral or recorded commands while on the board, or walking while blindfolded, or with eyes focused on an object. The child can ride the skateboard lying on the stomach, kneeling or standing; and the surface can be flat or a downhill slope. Balance board. This is a square board placed on a block-shaped piece of wood. Unless the weight of the body is correctly distributed, the board will tilt to one side. Jumping jacks. Have the child jump, putting feet wide apart, while clapping the hands above the head. To vary this activity, the child can make quarter-turns, half-turns, and full turns, or jumps to the left, right, forwards and backwards. The child should hop on one foot at a time and alternate feet while hopping. The child should hop in rhythmical patterns: left, left, right, right; or left, left, right – right, right, left. Have the child bounce on a trampoline, bedspring, mattress, or a large truck tire tube. A difficult activity for the child with poor motor coordination, it combines rhythm, balance, body movement, and coordination. Many children need help to learn to skip. Play hopscotch. Visit //www.wikihow.com/Play-Hopscotch to learn the rules of this classic game. With summer fast approaching numerous parents have raised the matter of swimming and swimming lessons for their children. It is essential that children are ‘water safe’ to ensure peace of mind. Of equal importance however is that you ensure that the person or place that you enrol your child in for swimming lessons is accredited and registered. Swim schools must be accredited – please take note of the following before enrolling your child for swimming lessons! It is vitally important for parents to check out the accreditation of the swim school before enrolling their children. “When you register your child for swimming lessons do you make certain that the swim school is registered? Just like when you enrol your child to start grade one, you make sure that the school is registered with the Department of Education. Same thinking. An accredited swim school will clearly display the certificate of accreditation which will have the physical address of the school or a plague with details of the school. Every province will have a list of registered swim schools and registered instructors that are recognised by the federation. Visit www.swimsa.org for further information and news regarding Swimming South Africa. “The public should be made aware of the dangers of having their children learn to swim from unqualified and unregistered teachers at swim schools. The general public have no idea how dangerous working with children in the water can be, especially toddlers. Swimming South Africa is the governing body of aquatics in South Africa. Its objective is to encourage the practice of aquatic disciplines for all in South Africa with the purpose of promoting swimming as a life skill through the Learn To Swim programmes. These programmes provide healthy exercise to South Africans of all ages and races by recruiting recreational swimmers to compete in the various competitions and promoting athlete development to the highest level.